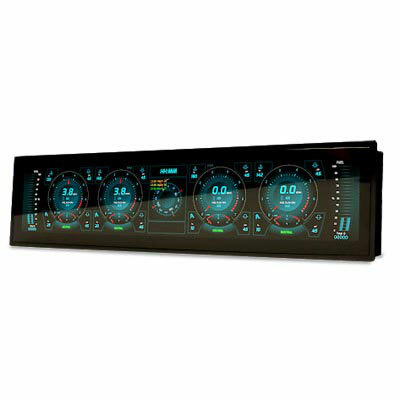 The Oceanic Systems' Multiple Engine Display provides an elegant and modern solution for engine and tank monitoring by replacing traditional dials. It has proven to be cost-efficient without compromising the warranty of the engine manufacturer. 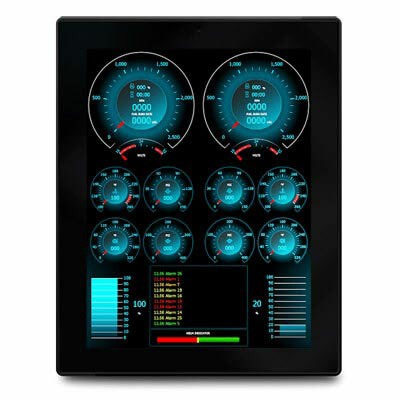 The 4161 Mulitple Engine and 4166 Dual Engine Displays have both J1939 and NMEA2000® built-in interfaces that present all the important engine data in real time and accepts and displays engine manufacturers published error messages if they occur. 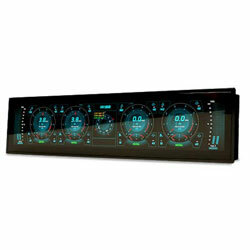 These displays are compatible with leading engine manufacturers including Caterpillar, Cummins, Evinrude, Honda, John Deere, Mercury, Yamaha and more. All engine displays have been tested with each engine manufacturers' error messages to ensure that they are displayed accurately. The devices are also switch-settable between imperial and metric display units. All of Oceanic Systems' engine displays show data from up to 4 fuel tank contents, the current rudder angle, GPS time and the GPS Compass if there are no error messages to display.